Being born in the sixties, I pretty much became aware in the seventies. Aware of music, I mean. As a preteen/teen, I spent hours listening to whatever was hot on album rock radio, and slowly amassed the largest collection of vinyl that my modest allowance would buy. I frequently sequestered myself in my basement bedroom in our ranch-style house, under my ginormous headphones with rock and roll pouring directly into my brain. And I studied the album covers. It was in the cryptic writing on these strange and mysterious pieces of graphic design (which I really miss, by the way) that I learned a bit about what went into making a record. 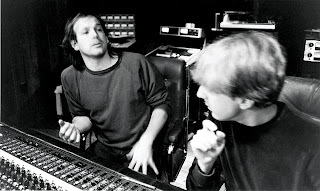 Elton John was not just Elton John – no, Elton John was Elton John Bernie Taupin Davey Johnstone Nigel Olsson Dee Murray and a whole mass of other worker bees like… the arranger, producer and the engineer…. The names grew to be as familiar to me as (and much more comforting than) my own adolescent anxieties. It was all utterly fascinating to me, this world of attractive, grown-up, long-haired dudes on either side of a glass booth making phonograph records. 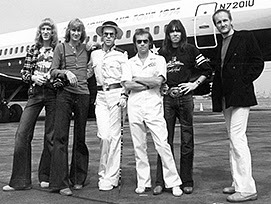 It sometimes seemed like their instruments and mikes were plugged directly into my headphones. To an awkward, angsty girl who was floundering in the world, these record makers became like a second, much cooler family. That’s why I loved Sound City, a documentary made by Dave Grohl about a legendary recording studio in California where those sweet sounds of the seventies (and beyond) were actually made. 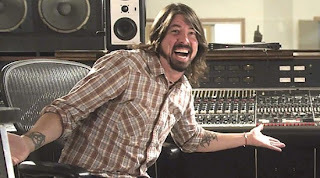 It begins with Dave Grohl recounting the excited pilgrimage in the nineties of his band Nirvana to record at Sound City, the fabled studio where so many iconic albums had been recorded… by iconic musicians and groups like Neil Young, Tom Petty and Fleetwood Mac. Some of the artists then tell us a bit about how disgusting the place looked, but their disgust is replaced by awe when they list some of the music that was made there, and we’re treated to a montage of album covers shown over a soundtrack of song snatches.... It’s like watching my youth flashing before my eyes. We learn about the studio's origin and about its owners Tom Skeeter and Joe Gottfried. Their goal? To find the next Beatles and make a zillion dollars. Their tools? A shabby warehouse built around a custom-made $75,000 Neve soundboard. If their purpose was mercenary, what followed was… not exactly. 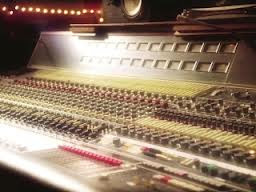 You see, at the advent of the digital age, as musicians began to depend increasingly on recording software like Pro Tools, the studio’s busy-ness started to peter out. I could really feel the pain of loss… the loss of community. Because even though a great deal is made of the one-of-a-kind soundboard and the adjoining big empty room, as it turns out… it was really about the PEOPLE. And me being me, I immediately thought, "That's a blog post." And yet… the applicable thoughts and analogies and quotes just starting tumbling around in my head, and refused to be corralled into any reasonable order. Because… well… because I’m analog and not digital. Meaning that… I’m human and messy and limited. And sometimes I can’t get it together. Producer James Brown talks, at one point in the film, about the limitations of analog recording: See, with digital recording you can record something and fix it (ie. remove the human imperfections) with a click or two on the computer... as opposed to the tedious process of splicing tape. And with analog, you’re limited to what you can do with the 24-track technology… and you just have to commit to those limitations and figure out how to work it out. And of course, me being me, I see it all in terms of the Christian life – it is best done in community – ie. the church. Yes, life with these imperfect people might be messier and less convenient, less perfect … and even more expensive! But you commit to the limitations and learn to work within them. Because life is a bit like music: “Music really isn’t supposed to be perfect. 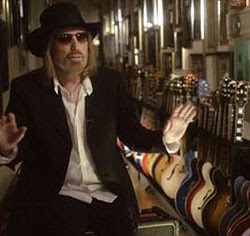 It’s all about people relating to each other and doing something that’s really from the soul… you know, it must come from the soul.” That’s what Tom Petty says, anyway… and he should know. And it’s not just the creation of music that was a community process for the citizens of Sound City… as Petty said, it was about people relating to each other. “ ‘Family’ might be a little heavy, but there was definitely a warm feeling between us and the people that worked there,” Tom says. Other musicians beg to differ. Barry Manilow says it's the most familial place he's ever recorded at. (Grammar people, haud yer wheest!) And a couple of stories told in the movie sort of highlighted this for me. 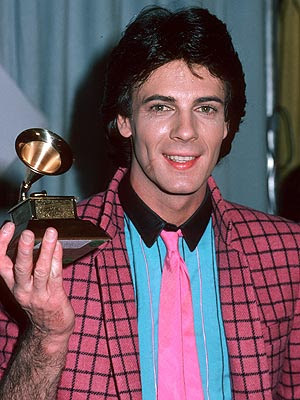 won a Grammy. Who knew? First: Eighties poster boy Rick Springfield came to Sound City to record as a young lad and his career was nurtured by SC owner Joe Gottfried as he burst onto MTV with hits like Jesse’s Girl, and I’ve Done Everything For You. Joe got him an apartment, a car, acting lessons and his gig on General Hospital. Sure Joe was looking to make money, but over time, they developed a father-son type relationship. And when Rick up and split – signing with another manager who had made big promises, the loss was palpable. “Joe was completely shattered,” his partner Tom says. Springfield appears in the film, and his deep regret shows. And then there’s the story of the group that grew to become Fleetwood Mac. 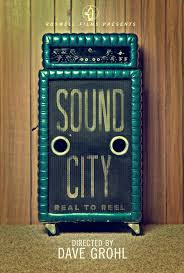 It began as a couple of kids (Lindsay Buckingham and Stevie Nicks) making their first album in Sound City’s perfect room. 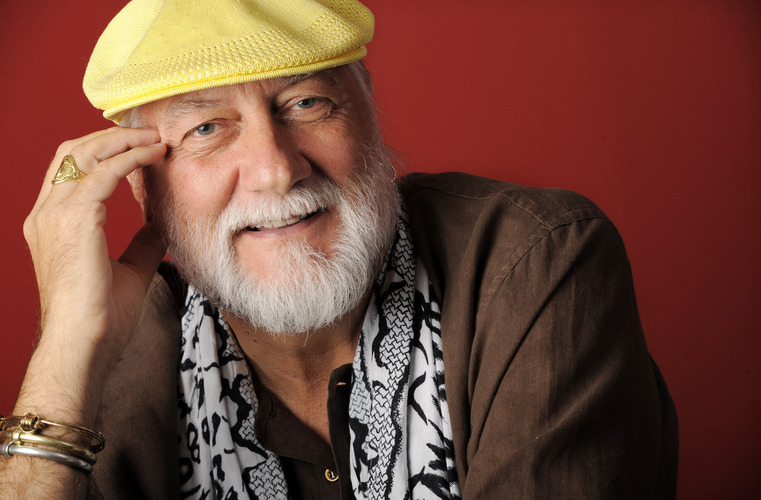 So Mick Fleetwood comes in, just scouting out the place for Fleetwood Mac's next album, and they play him one Stevie and Lindsay's tracks. 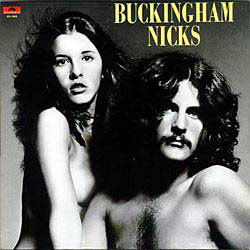 Later, when Bob Welch suddenly quit Fleetwood Mac, Mick inquired about Lindsay’s availability… turns out Buckingham wouldn’t work without Nicks… and the rest is AOR history! And it’s a great story, but what struck me was that Stevie Nicks as a young girl – far from home, working as a maid to pay the bills, and probably quite homesick – had found her home away from home. When grown-up Stevie reads an excerpt from a letter that she wrote to her parents during this period, it’s clear that she was with HER second, much cooler family. And I am living proof that the church can be that for people – a family. I learned this for myself - living sick and lost and alone in the big city (sic)... The church became my second family... and while "cooler" is debatable, well, the music we've made… it’s inspired.